Viper Debt Recovery & Repossession Services provides a fast and proactive debt collection service with an impressive 90% success rate. Our dedicated, professional team are trained in the Person Act 1997 and set out with immediate action in the aim to collect your debt as quickly as possible whilst retaining the relationship with your client if at all possible. Viper Debt Recovery also specialise in private investigation. Over the past 10 years we have been offering our services in the Financial, Retail, Medical & Investor Sectors throughout Ireland & The UK. Viper Debt Recovery & Repossession's proven strategies and debt recovery systems have recovered over 90% of our assigned accounts which is well over the industry's collection success average. There may be cases that can only be resolved by heading to court. Viper Debt Recovery & Repossession can aid you with legal advice to ensure you get payment no matter how complex a case. Please note: Business Owners in the UK can contact our Manchester office using the details provided at the following link - www.viperdebtrecovery.co.uk. Copyright © Viper Debt Recovery & Repossession Services. All Rights Reserved. 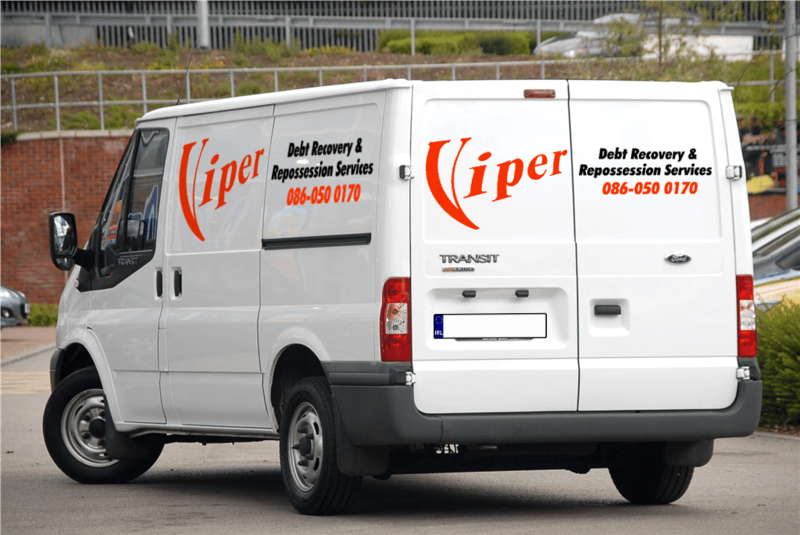 Viper Debt Recovery is based in Dublin, Ireland. We may process “personal data” (as defined in data protection legislation) as part of our contracted services and/or in our administration, this may be data relating to company business and/or relating to clients on Irish based systems, although data may be accessed remotely. All data are held securely and for as long as they relate to the reasons for collection and/or if there is a statutory retention period.